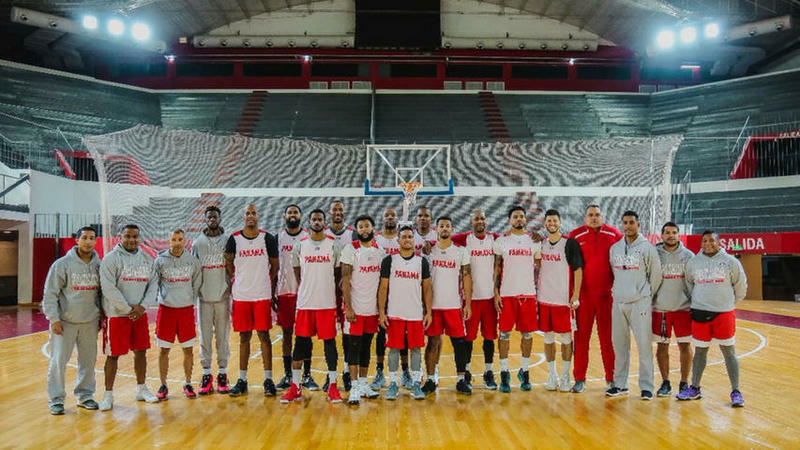 The Panamanian major basketball team completed today its last training in the Central American country and is ready to travel tomorrow to Argentina, where it will face the Albicelestes next June 28 at the start of the third window of the qualifiers for the World Cup China 2019. The duel between Argentines and Panamanians will take place at the Estadio Aldo Cantoni in the province of San Juan. After the game against the Argentines, the Panamanians will move on Friday June 29 to the city of Asunción; to play on July 1 in Paraguay at the sports stadium San José. The Panamanian team, which is led by Spanish Manuel Hussein, is third in Group A with six points, below the teams of Uruguay and Argentina, first and second of the group, respectively. The Panamanians will travel to South America to seal their qualification to the other round of the qualifier with a team led by the forward of the San Martín de Corrientes Argentine basketball Michael Hicks and the center of the Miners of Zacatecas, Jaime Lloreda. The best three teams of each group will go to the next round, which will be organized in two new groups with six countries each, which will finish playing in February 2019 and the first three of each group and the best fourth will qualify to the World Cup. Shooting guards: Trevor Gaskins, Eugenio Luzcando, Carlos Javier, Rodriguez, Joel Muñoz and Pablo Rivas. Power forward: Josimar Ayarza, Ernesto Oglivie, Michael Hicks, Alejandro Grant, Daniel Girón and Alejandro Grant. Center: Javier Carter and Jaime Lloreda. 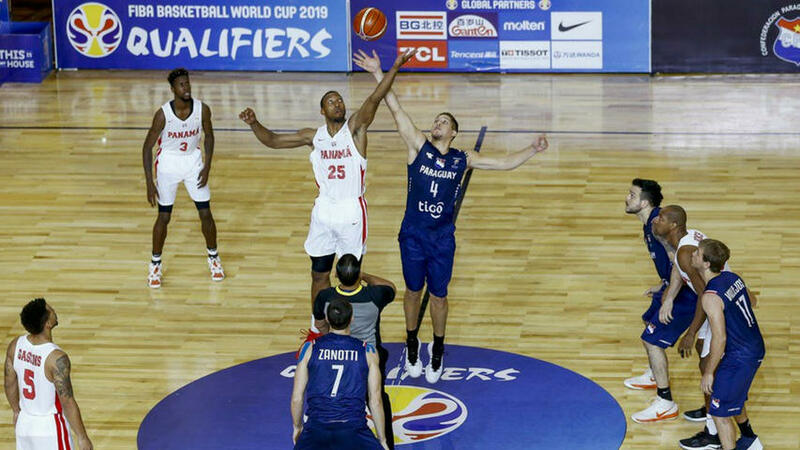 The president of the Panamanian Basketball Federation (Fepaba), Jair Peralta, told Efe that the Panamanian team has to win away from home to show that they are a contender in these knockout stages for the China 2019 World Cup. "If we want to be a contender team on this road to the World Cup, we must learn to win as visitors," said Peralta, who at the time was the owner of the Panamanian national team. 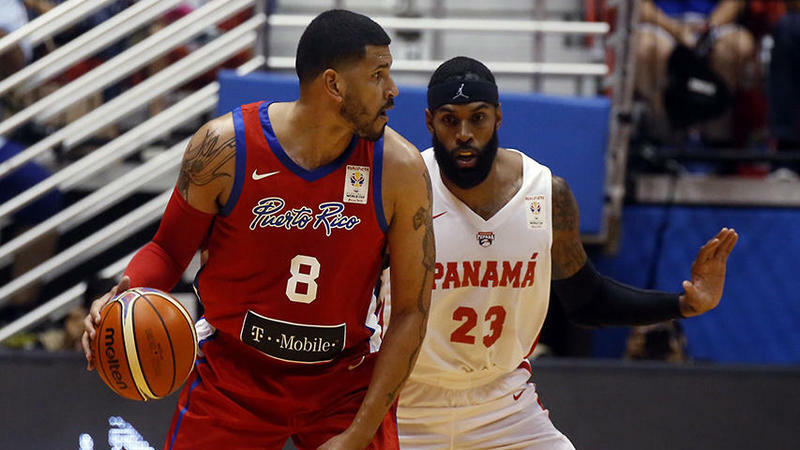 The national basketball team of Panama will face Argentina and Paraguay on June 28 and July 1, respectively, in a game that the federation knows as high level. "Always these games played as visitor must be played with the smaller margin of errors as possible," said Peralta, who considered that the team of Panama has "a great opportunity, that must be taken", concerning sealing its qualification to the other round of the World Cup knockout. 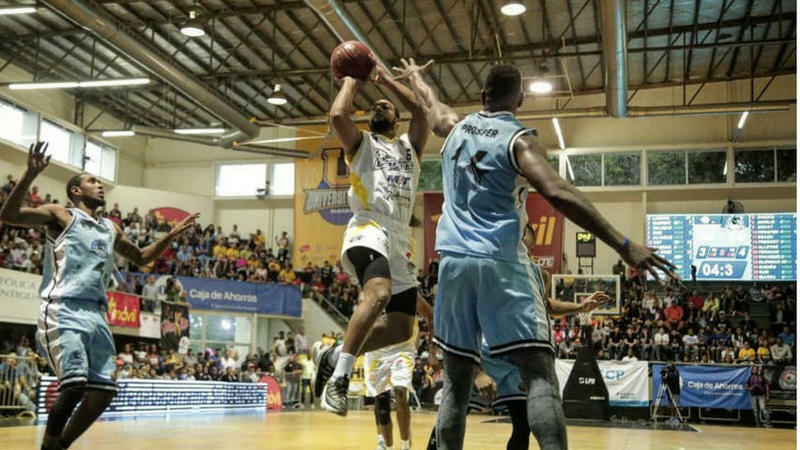 The Panamanian team will try to seal their qualification to the other round of the knockout with a team commanded by the forward of San Martin de Corrientes of Argentine basketball, Michael Hicks, and the center of the Mineros de Zacatecas Jaime Lloreda. The best three teams from each zone will go to the next round, which will be organized in two new groups with six countries each, which will finish playing in February 2019. 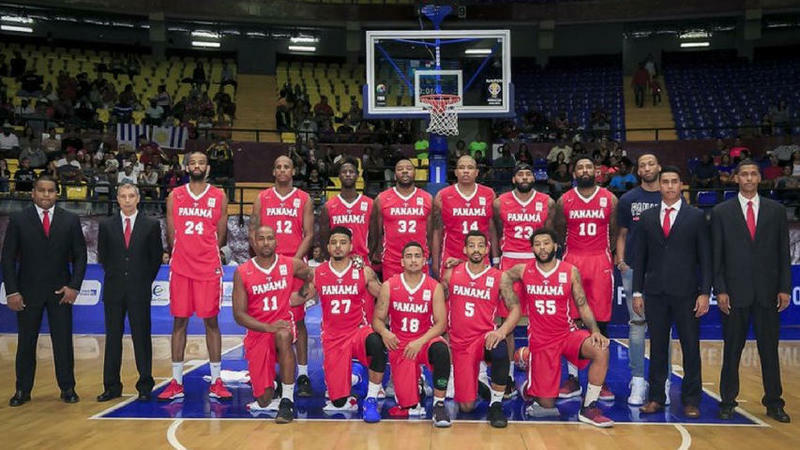 The Panama national team played against Paraguay, with a score of 74-67 at the San José sports stadium in Asunción, and won a ticket to the second phase of the qualifiers for the 2019 Chinese Basketball World Cup. The duel remained closed in the first three periods, but the best performance of the Canaleros was felt in the last period, which they won with partial 23-15 to take the victory and third place in Group A. The best players for Panama were Michael Hicks with 13 points. Akil Mitchell with 10 points, six rebounds and five assists; and Javier Carter with 10 points and eight rebounds also contributed to the cause of Panama. For Paraguay the best player was Gabriel Peralta, who finished the match with 17 units under his belt. Panama arrived in Asunción with the pressure of losing to Argentina the previous match (87-62) and a defeat against Paraguay left them out of the playoffs. 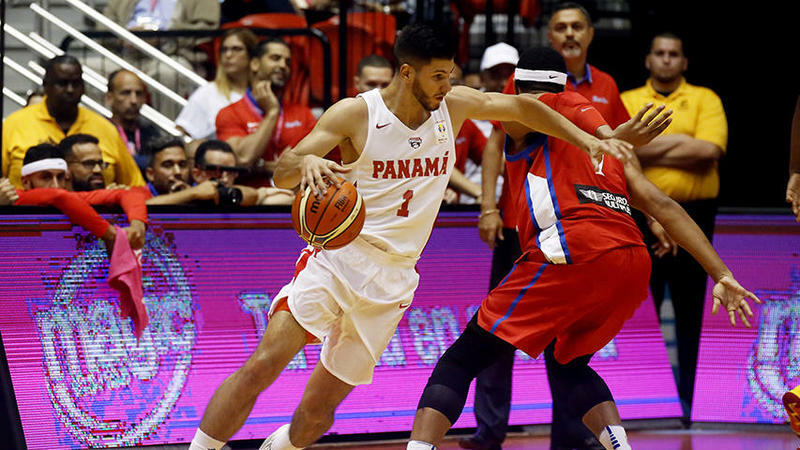 Panama now falls in Group E, along with Argentina, the United States, Puerto Rico, Uruguay and Mexico, and its next commitment will be on September 14 against the Puerto Rican team, according to information generated by FIBA Americas. The fourth season of the Professional Basketball League (LPB) 2018 will start next August 31 with the duel between the Correcaminos de Colón, current three-time champions of the league, and the Caballos de Coclé, finalists of 2016 and 2017, reported today a sports source. The 2018 Panamanian basketball tournament will have six teams. They are the Panteras de Costa del Este, Universitarios, Atlético Nacional, Toros de Chiriquí, Correcaminos de Colón and Caballos de Coclé, according to the LPB statement. The first date of the tournament of the LPB will completed by the duels between the Panteras de Costa del Este and Universitarios, while the closing of the day will be marked by Atlético Nacional and Toros de Chiriquí. The three matches of the first date will be played in the gymnasium of the Santa María La Antigua University (USMA), located in the peripheries of the Panamanian city. In the official notice, the LPB states like the 2017 season, the four best quintets of the regular round will advance to the semifinals, which will be played in a series of three matches between the ranked 1 against 4 and the 2 against the 3, to define the finalists. The grand final will be a single duel, to be played at the Arena Roberto Duran, as is already traditional in the basketball tournament of the Central American country. Point guard Jose Juan Barea scored 18 points to take Puerto Rico to a 82-73 win against Panama in the first game of the second round of the Basketball World Cup qualifiers at the Roberto Clemente Coliseum in San Juan on Friday. With the win, Puerto Rico improved its win-loss record in Group E to 5-2 and edged closer to qualifying for the tournament, while Panama fell to 3-4. Puerto Rico will play its next second round game on Sep.17 against leader Argentina before facing Uruguay on Nov.29. The team's other three second round games will be against Panama on Dec.2, against Argentina on Feb.22, 2019 and against Uruguay on Feb.25, 2019. Panama’s major basketball team is playing live this Monday against the United States in the continuation of the first window of the second round of the qualifier towards the FIBA World Cup of Chinese Basketball 2019. The Panamanians will receive a US team on their home soil in an official match for the first time and with one foot almost out of the World Cup qualification, due to the loss against Puerto Rico, last Friday, by a score of 82 to 73. In the match against Puerto Rico, the Panamanians only achieved a 37 percent field goal percentage, with Daniel Girón (Ostioneros de Guaymas de México) as the best scorer with 17 points. With these defeats the Panamanians are left with a negative record of 3 wins and 4 losses. For this game, Hussein must mentally and physically recover the team and its important figures such as: Trevor Gaskins of Maccabi Haifa B.C. of Israel, Tony Bishop of the Bakken Bears of Denmark, Javier Carter of the Hispano Americano of Río Gallegos in Argentina and Ernesto Oglivie of Capitanes CDMX in the Mexican league. The visitors come from overwhelming Uruguay 114 by 57, to prove their place in the basketball world championship, with a record of six wins against one defeat. The Americans in this match hit 60.8 percent of their shots, including 16 of 19 three-pointers, with Frank Mason III as their top scorer with 16 points. The coach of the Panamanian team, the Spaniard Manuel Hussein, assured that in this start of the second round of the qualifiers he played two difficult games and that there were no rivals of low or medium quality, but that he would try to "compete as best we can". "What does compete as best we can mean, well, to fight for victory against Puerto Rico and the United States, is how I see it," Hussein said at the time. We could not beat the Puerto Ricans and the team showed their lack of pace and hoop accuracy, now the only thing left is to surprise the United States, tomorrow Monday. Statistically the Panamanian team, in seven games that this playoff round takes, has an average of 72.7 points per game, to be number eleven in the ranking. His opponent tomorrow is second in points per games with 88.6, just below the Canadian team. Jeff Van Gundy, former coach of the New York Knicks and Houston Rockets of the NBA and American helmsman, said before the start of the window: "the games of the second round mark the beginning of the most critical part of the World Cup Qualifiers". He added that "all our matches in the second round are going to be very, very difficult and competitive battles: Uruguay, Panama, Argentina are all very good and have good leadership." United States arrives in Panama with 10 of 14 players who have had a ticket to NBA basketball teams. Among those: Frank Mason III who played in Sacramento Kings, Ben Moore in Indiana Pacers, Jameel Warney (Dallas Mavericks), Derrick White in San Antonio Spurs, Dwayne Bacon in Charlotte Hornets, Jordan Crawford in New Orleans Pelicans, Henry Ellenson and Reggie Hearn in Detroit Pistons, Isaiah Hicks (New York Knicks) and Dakari Johnson (Oklahoma City Thunder). The match will be played tomorrow at 20:00 local time (01:00 GMT on Tuesday) at the Roberto Durán Arena, in the east of Panama City, with a capacity of about 8,000 spectators.